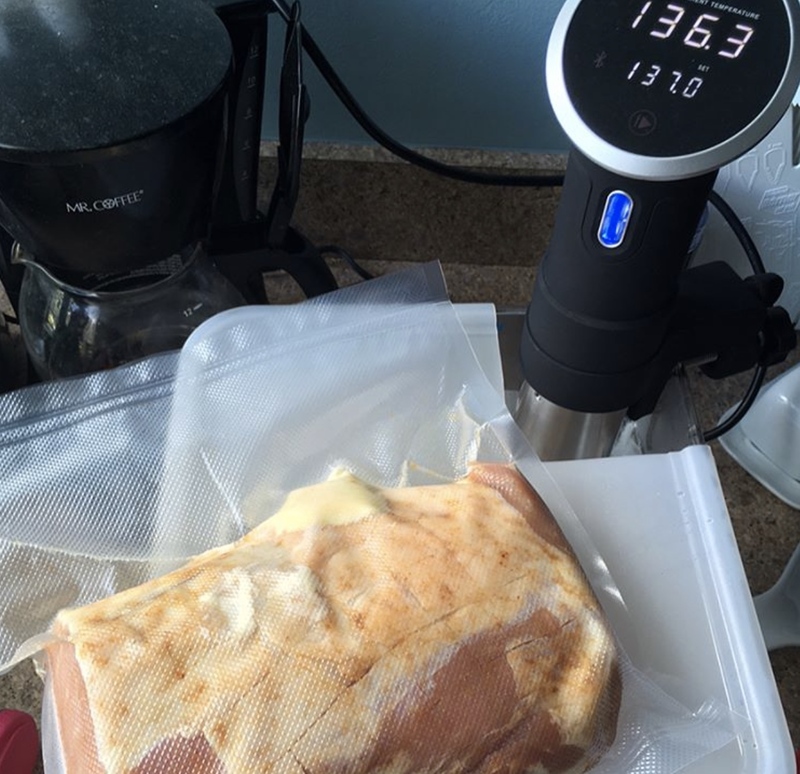 This sous vide pork loin recipe guarantees perfect results every time. 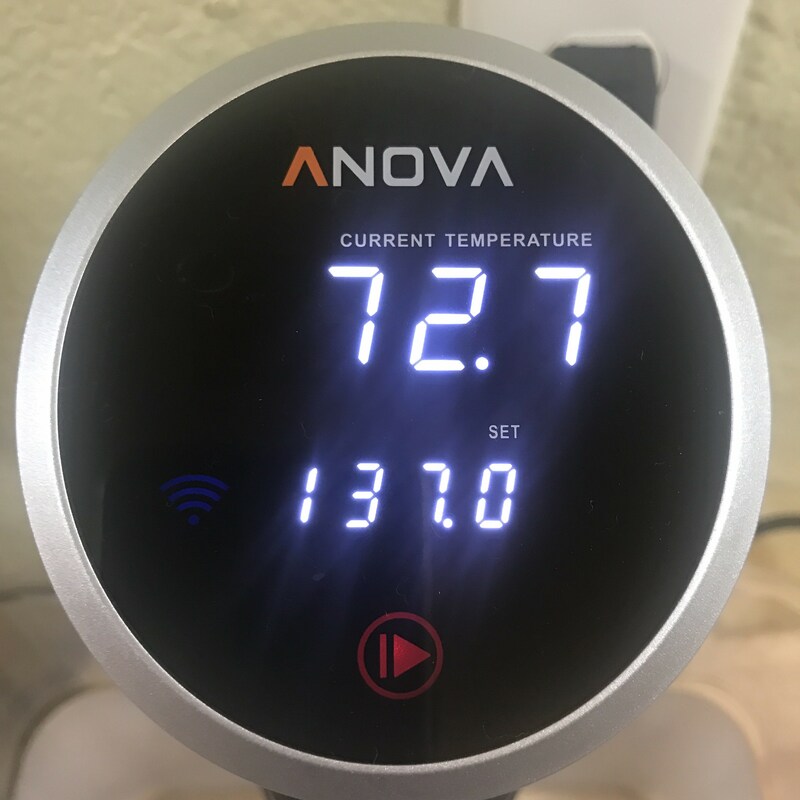 With sous vide, it's impossible to overcook, and ensures your pork comes out juicy and tender every time. 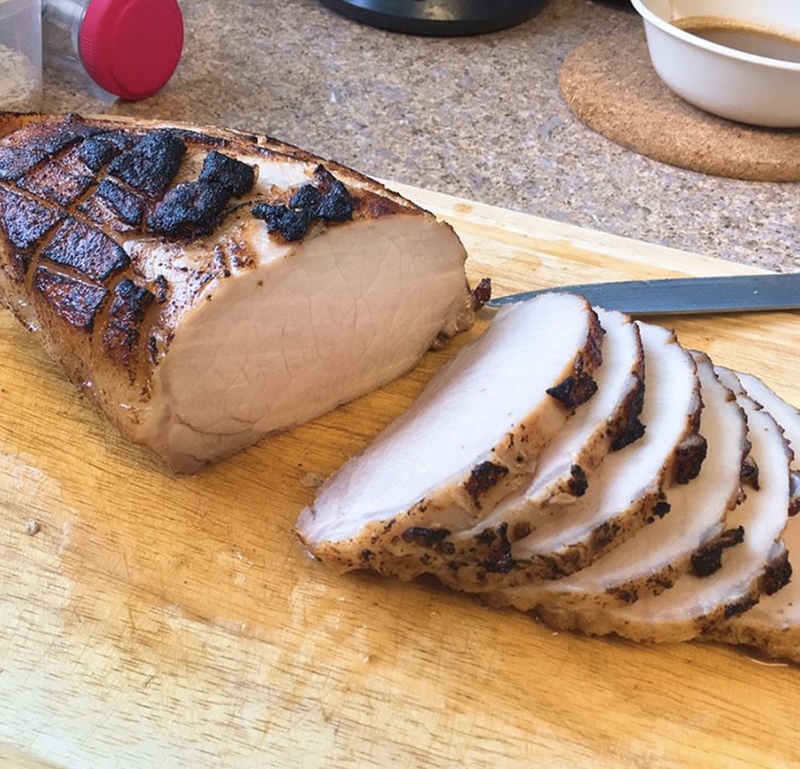 Score fat on pork loin. Season with salt, sugar, and smoke seasoning. Cover with plastic wrap and let dry-brine in refrigerator for 5 hours, up to overnight. 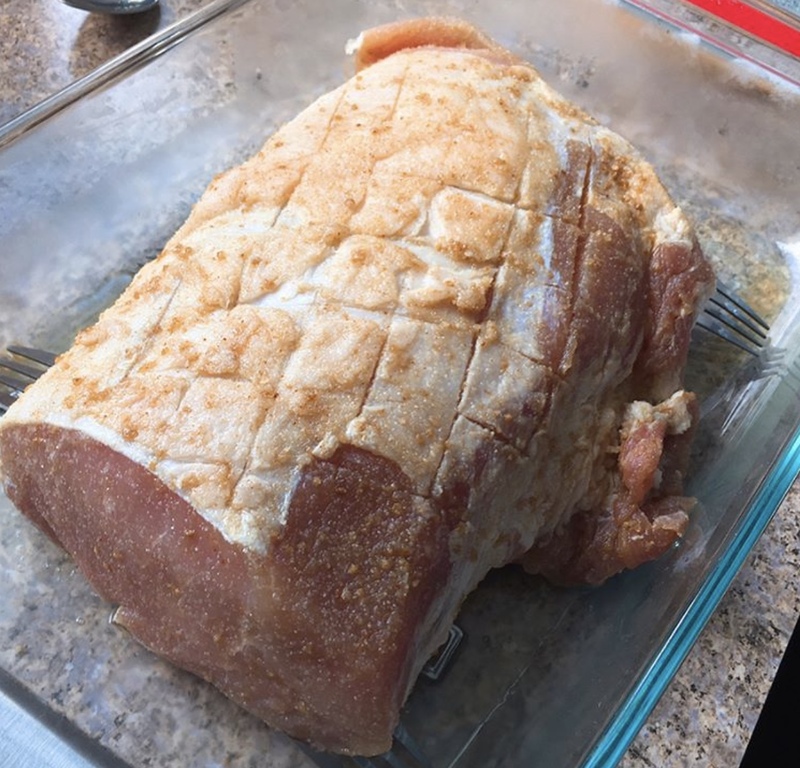 Remove from fridge, pat dry, and place in vacuum bag or gallon size freezer bag (You can split roast into two if necessary to accommodate bag size). Cook for 2.5 hours. Remove pork from bag, dry off. Place in oven, in pre-heated pan, for 10 minutes. Flip halfway through for perfect sear. Slice and serve! 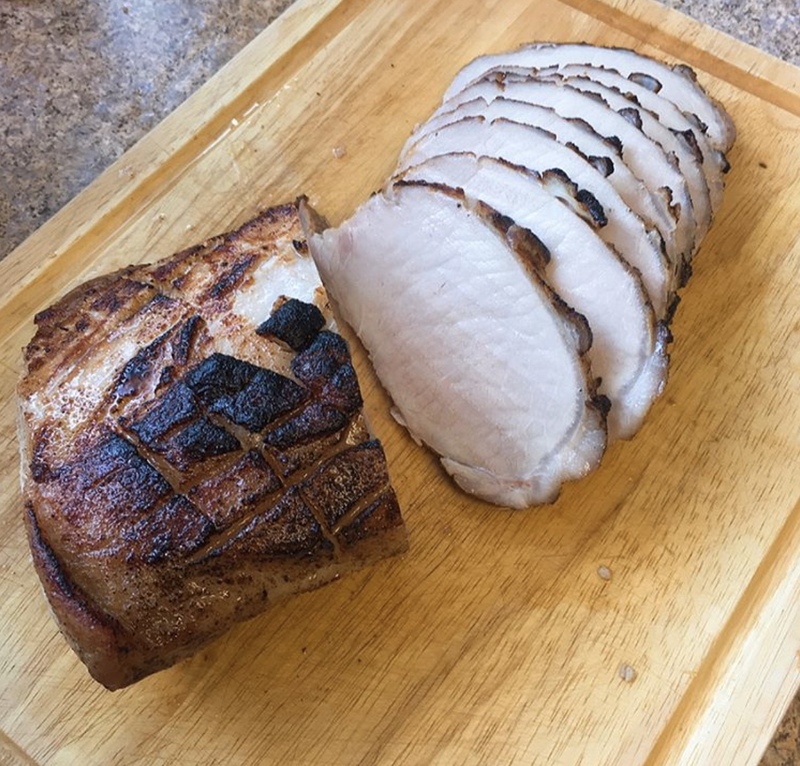 Perfectly cooked pork loin.